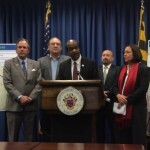 Montgomery County Executive Isiah Leggett wants to get a Bus Rapid Transit system up and running in Montgomery County sooner than later. 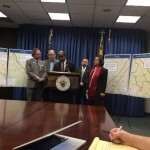 At a March 2nd news briefing, Leggett unveiled his recommendations for MD 355, US 29, Veirs Mill Road and his continued support for the Corridor Cities Transitway. 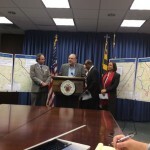 Leggett was joined at the podium for this announcement by Department of Transportation Director Al Roshdieh, and County Councilmembers Roger Berliner, Marc Elrich and Nancy Navarro. 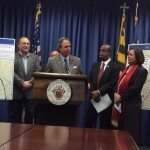 Leggett credited Elrich as the catalyst for this plan. 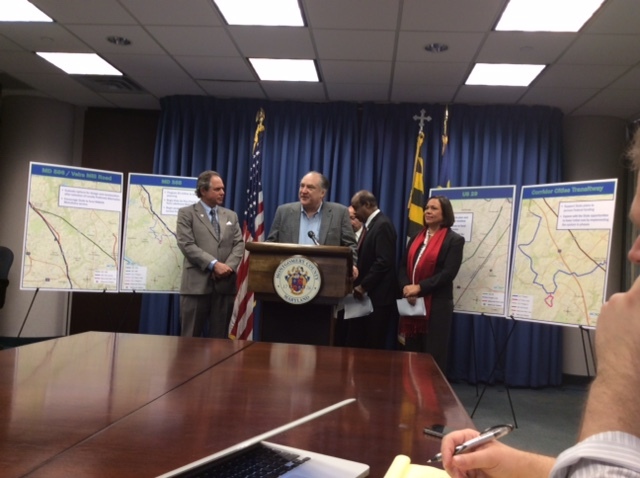 “I could not be happier,” said Elrich about Leggett’s recommendations, noting, “this is a big deal.” According to Elrich, if the county doesn’t move forward with this plan, it’s headed towards gridlock. 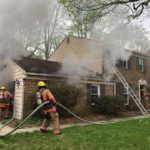 “I don’t think anyone wants to live with that,” he said. 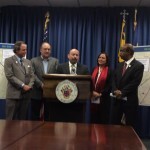 Berliner called today, “a banner day,” for Montgomery County because of all the transportation news. 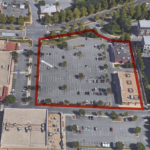 (Just an hour earlier, Governor Larry Hogan announced the Purple Line is a go as the state has selected a contractor. ) Navarro said that BRT is not just about reducing traffic but that it also means jobs especially for mid and east county residents. “I am committed to advancing BRT on MD 355 by partnering with the state on the $10 million cost for the next phase of project planning. Therefore, I am programing $5 million in my Capital Budget and calling upon the state to match my commitment to move the MD 355 BRT study to a Locally Preferred Alternative (LPA) stage. Following selection of a LPA, we will have the necessary detailed information to allow us to identify and allocate funds for design and construction. 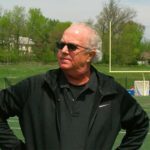 “In addition, I am recommending Ride On Plus priority service from the Lakeforest Transit Center to the Medical Center Metrorail Station in less than two years. The service will be peak-period, limited-stop with specially branded vehicles and upgraded stops/stations, including amenities such as transit signal priority and real-time bus arrival information. 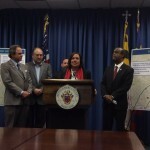 “I am recommending programming $6.5 million in my Capital Budget for the planning and design of a high quality US 29 BRT with the intent of getting this route up and running in less than four years. The entire route will operate within the existing pavement. Much of this BRT route will use the roadway shoulders as a dedicated bus lane. Other portions will operate in managed lanes with only limited sections in mixed traffic. 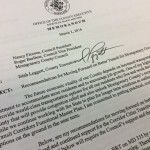 “The current state-led BRT planning study on Veirs Mill Road will result in a Locally Preferred Alternative in FY 2017. Following a selection of a LPA, I will evaluate options for design and construction of the BRT. 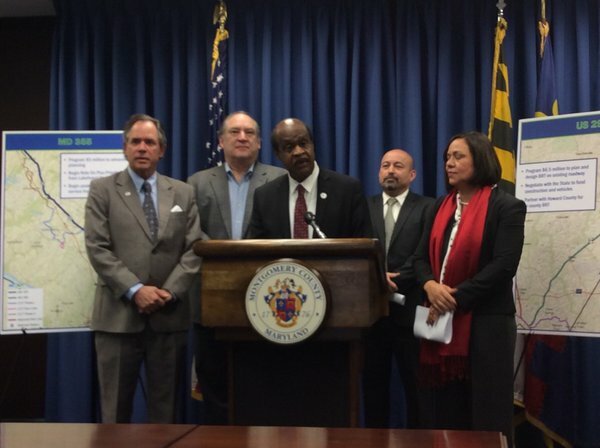 Leggett said his recommendations include $1.25 million over three years for branding the county’s BRT, community education and marketing of the new BRT service. “The steps I have outlined with move transit forward in an efficient and fiscally responsible way by more effectively using our limited financial resources and existing infrastructure and timing projects to coordinate with development along our transportation corridors,” Leggett said.